All library locations have regular, ongoing programs for children. From babies to teens, we have something for everyone! View the Full Schedule. Need reading suggestions to get your child started on the right foot? Check out our lists of 101 Picture Books to Read Before Kindergarten, 101 Cool Books to Read Before 3rd Grade, and 101 Terrific Titles to Read Before Middle School. Did your child devour the Percy Jackson series, and now they don’t know what to read next? Try this list of read-alikes to find their next unputdownable series! The concept is simple, the rewards are priceless. Read a book (any book) to your newborn, infant, and/or toddler. For more information and how to get started check out our 1,000 Books Before Kindergarten page! Have a classroom, daycare, or other group that wants to visit the library? Fill out this form and we’ll help make it happen! Our Facebook page is updated with our latest special events. Pinterest is a great way to keep up with what our Children’s Services staff are pinning. Volunteering can be a satisfying way to invest your time and energy and use your special skills. To volunteer please complete this online volunteer form or print out a volunteer form and return it to the branch at which you are interested in volunteering. Readiness Matters is a school readiness initiative brought to you by Warren County Public Library and the Warren County Early Childhood Committee. Ready to grow, ready to learn, and ready to succeed! 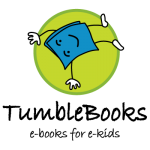 The TumbleBooks collection features hundreds of eBooks for kids! Animated stories, talking picture books, math stories, read-along chapter books, videos, puzzles, and games are available. No downloading required. Overdrive Media for Kids allows kids, parents, and teachers to quickly locate and download kid-friendly eBooks and audiobooks. 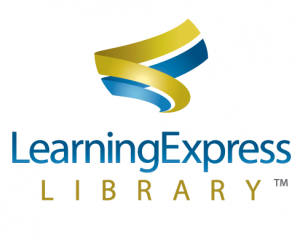 School Center from LearningExpress Library is a great resource to develop math, grammar, and reading comprehension skills. Our Youth Services Staff are always more than happy to answer any questions you might have.